Our S1 student Chan HK participated the Science Fiction Drawing in the 21st Hong Kong Youth Science and Technology Innovation Competition 2018-2019 for the first time. The judges particularly appreciated her creativity. Chan HK finally won the 1st runner-up award. 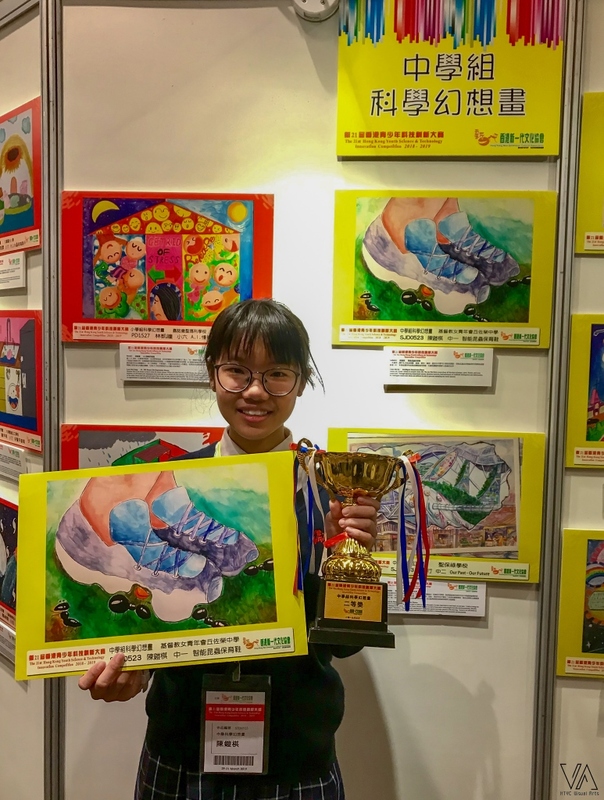 Her artwork is now nominated to further participate in the coming 34th china adolescent science and technology innovation contest. Congratulations!